History has relegated the wives of Henry the VIII to simply being, well, wives – and Six from Toby Marlow and Lucy Moss sets out to re-write herstory, giving each of these six women their own time to shine. 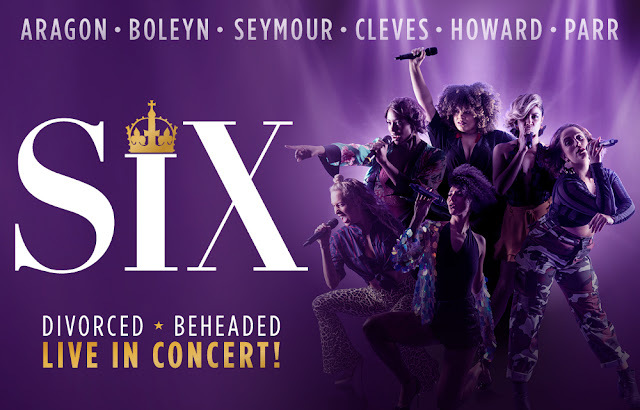 This pop musical elaborates on each of these women’s stories beyond their claim to fame as the ‘Divorced, beheaded, died. Divorced, beheaded, survived’ fates that befell them. The premise is simple, Catherine of Aragon (divorced), Anne Boleyn (beheaded), Jane Seymour (died), Anne of Cleeves (divorced), Catherine Howard (beheaded), and Catherine Parr (survived), set out to prove that they were the most-ill treated wife of the British monarch and therefore the most fitting to lead a musical/pop group. The narrative - which feels more like a pop concert with each of the Wives taking a solo, sprinkled with several raucous group numbers – mixes these performances with amusing bickering between our leading ladies about just who had it worst, immediately crafting a sense of fun and playfulness. Each of the Wives takes turn (in chronological order) to deliver a number in a different style, exploring their time with Henry the VIII. Opening with an anthemic titular track, Catherine of Aragon (Jaraneia Richard-Noel) soon follows with a chirpy pop number, followed by Anne Boleyn’s (Millie O’Connell) Lily Allen inspired ‘Don’t Lose Your Head’. Jane Seymour (Natalie Paris) delivers one of the few ballads in the production – exploring the tragedy of her death twelve days after the birth of her child. Anne of Cleeves (Alexia McIntosh) follows with a standout number that centres on her anger at being snatched up after the King saw her portrait (amusing Tinder parallels follow). Catherine Howard’s (Aimie Atkinson) number centred her dalliances with lecherous men from the age of thirteen – this is a savvy enough piece to be reflective about the contemporary problematic nature of the situation. The final solo number sees Catherine Parr (Maiya Quansah-Breed) – who is mocked as the least deserving to call herself a victim – dip into a pop number about being taken from Thomas Seymour, the man she first loved. The sparring between the ladies - from Anne of Cleeves’ noting she benefited the most from the King’s estate, Aragon’s religious background, to Boleyn’s continual oneupmanship about her beheading – is continually amusing. However, there is an entirely relevant undercurrent exploring how these women were generally all victims to a tyrant who viewed them as disposable – entirely reflective of the current sexism and #MeToo debate. 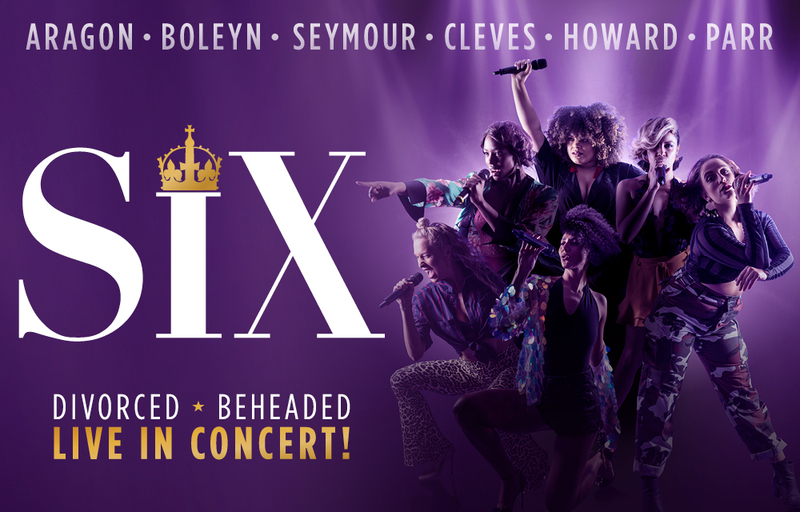 Six’s contemporary pop anthems, savvy set-up and good-natured sense of humour ensure that this is a musical that deserves to be around for a long time – hopefully longer than Henry the VIII managed to retain any of his wives for.